In 2019, eligible employees in New York State will receive up to 10 weeks of Paid Family Leave and up to 55% of their average weekly wage (capped at 55% of the State’s average weekly wage) during their paid leave. The maximum benefit of 12 weeks off and 67% of average weekly wage will not be realized until the year 2021. Starting on December 31, 2018, minimum wage rates will increase across New York State. In New York City, large employers (11 employees or more) must pay their employees $15.00 per hour and small employers (10 employees or less) must pay their employees $13.50 per hour. In Long Island and Westchester, employees must be paid a minimum of $12.00 per hour regardless of employer size. For the rest of New York State, the minimum wage will be $11.10 per hour, regardless of the size of the employer. The minimum salary requirements for exempt employees in New York State will also be increasing. On December 31, 2018, exempt employees of large employers in New York City must be paid $1,125.00 per week, and employees of small employers in New York City must be paid $1,012.50 per week. For the remainder of downstate New York (i.e., Nassau, Suffolk and Westchester Counties), the minimum salary requirement will go up to $900.00 per week and the rest of the State will see an increase in the minimum salary requirement to $832.00 per week. As part of the sexual harassment prevention laws that were passed in the 2017-2018 legislative session, Rule 7515 of the Civil Practice Law and Rules (“CPLR”) was amended to prohibit mandatory arbitration in disputes regarding sexual harassment. This applies to all employers regardless of size and is applicable to all contracts entered into on or after July 11, 2018. In addition, CPLR §5003-b and General Obligations Law (“GOL”) §5-336 were modified to prohibit employers from mandating non-disclosure and confidentiality as part of settlement agreements resolving sexual harassment disputes. The exception is where the victim has requested confidentiality, in which case the agreement must memorialize the victim’s preference. The victim must have 21 days to consider the confidentiality clause and, if the agreement is ultimately signed after 21 days, the victim then has 7 days to revoke the agreement. 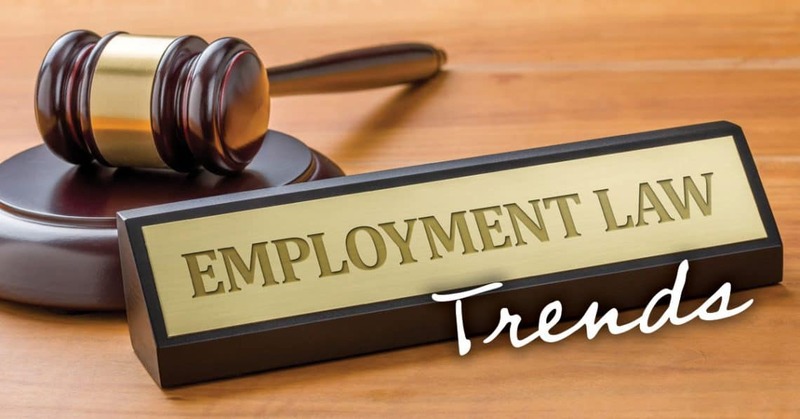 Unlike some Federal statutes such as the Age Discrimination in Employment Act (“ADEA”) that permit the 21-day time frame to be waived by the employee, the CPLR and GOL do not permit the 21-day time frame to be waived. This change applies to all settlement agreements entered into on or after July 11, 2018. Visit our website during the year for more updates as they happen! 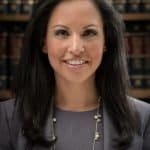 Jennifer S. Echevarria is an Associate with the firm and practices Immigration and Employment Law including U-Visas and wage violations. She is bilingual in Spanish and can be reached by phone at 866-303-9595 toll free or 845-764-9656 and by email.